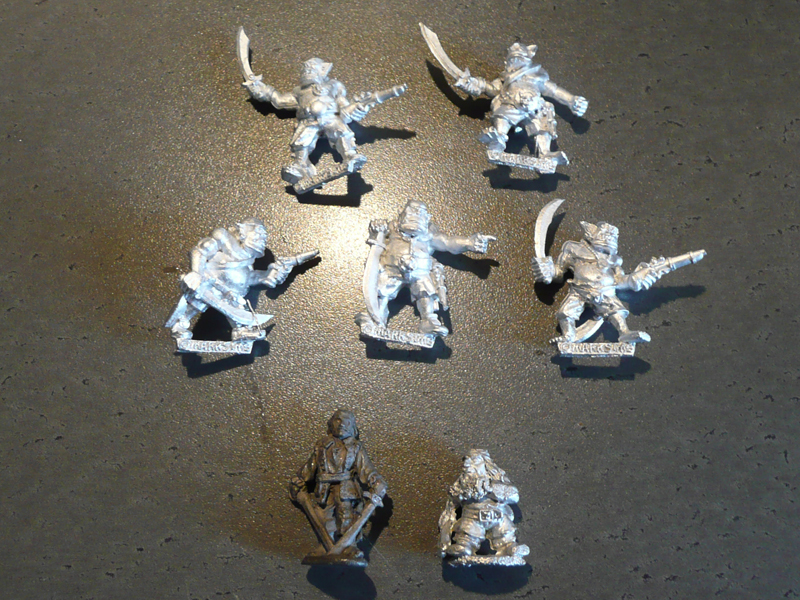 This week I have mostly been getting… pirates! This week I got some Buccaneer Orcs from Black Hat Miniatures and a couple of pre-slotta Citadel pirates. Consider me timbers well and truly shivered, Jim laddie. It’s quite obvious what I’m going for with this week’s acquisitions. I’m stocking up for my round 10 entry in the LPL; the maritime bonus round! Not exactly sure how I’ll do it though, I’ve got three teams for the round but only need two. 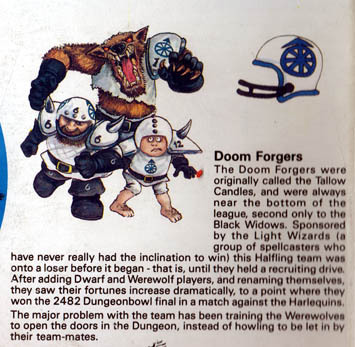 The original thought was to do Marauder Sea Elves vs Black Hat Buccaneer Orcs. 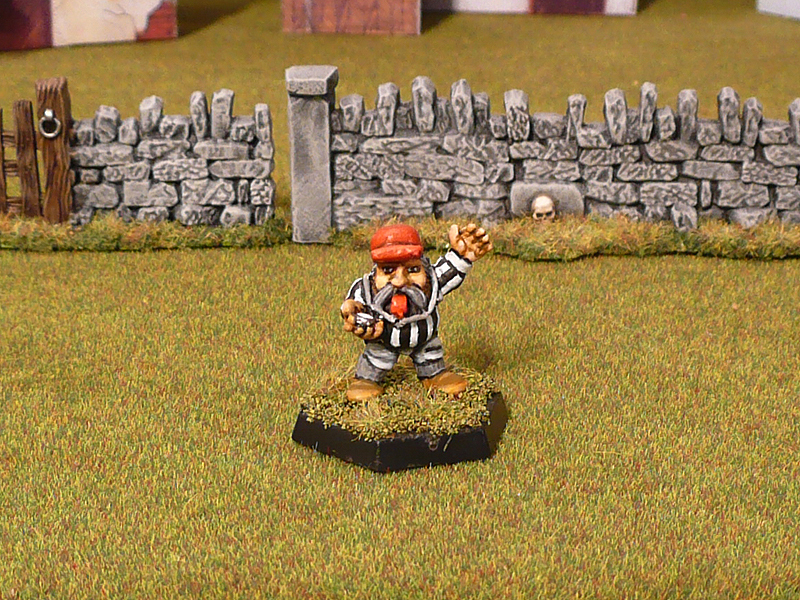 When I discovered the pirate section of the old C04 Thieves range, I couldn’t help myself but get a few of them too. I’ll try to finish one of them to enter in round 9 and possibly create some sort of trans-round narrative. 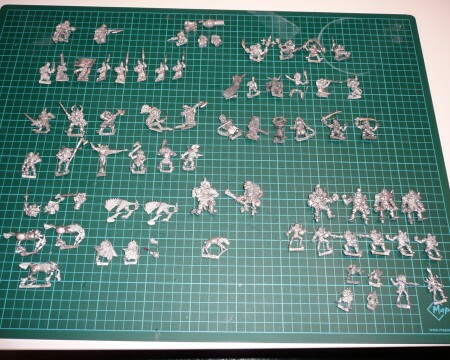 Got two more of the C04 rogues incoming (including the captain chap) and to back them up is an orc with a hook for a hand and a nice piratey axe. I’ve finished the secondary team for round 5, more or less. I’ll continue working on them up until the bitter end – deadline is tomorrow at noon. I could submit them as they are now though, but wouldn’t be happy with them. Total tally for 2012 is now 39 painted – 116 acquired = -77. I suspect the header for this post will test my anti comment spam protection to the utmost… oh well. I recently finished off a large batch of stripping and figured I’d post the pic here for your perusal. As always, large batches of lead are something I love ogling. Let me know if you think these posts are craptacular. Lead, lead - glorious lead! He’s a tad more active with his postings than I am, so head on over and make yourself a follower. 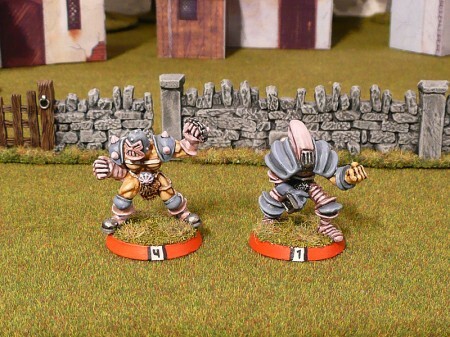 Speaking of Brink of Battle… Bob “Faust23” Faust recently released his quite interesting rule system Brink of Battle. I really liked the flow of the game and look forward to play more. 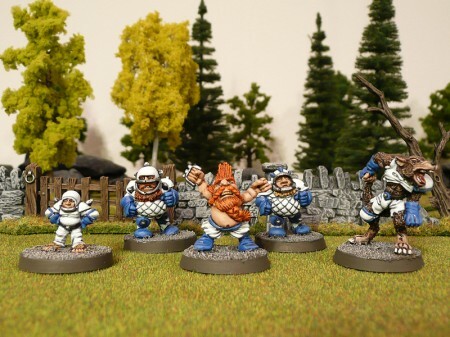 In particular I’m interested in the campaign rules (we haven’t touched them yet) and the upcoming fantasy and scifi expansions. You should check it out! Round 3 of the LPL is over and I managed to score a win this time. I was up against Matakishi so I didn’t feel too confident to begin with, but the last few days I’ve been quietly celebrating. Paul had a great entry with a gang of aliens inspecting a herd of cows. My entry consists of some of the last few miniatures needed for the next scenario in the Stillburg campaign! 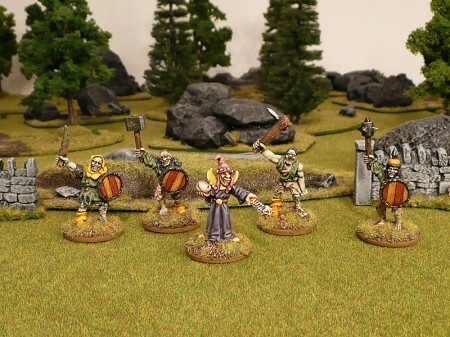 At the front is an old Necromancer from the Talisman range (sculpted by Aly Morrison). 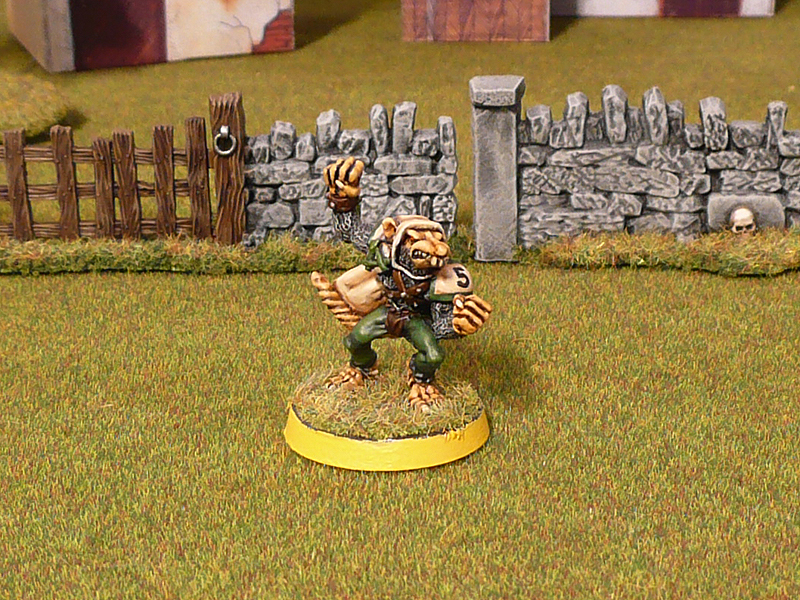 He’s supported by four zombie buddies that are a bit more modern than the models I usually paint. They are Gary Morley sculpts from 1993, and prior to painting them they were my least favourite models in the lead pile. I’m actually using these merely because I couldn’t get my hands on any more C18 zombies. Still, with some paint on they’re quite ok and if nothing else they were dead easy to paint! The three guys with the shields will act as zombie lieutenants (and the two I did prior to these are demoted to regular zombies). Since I didn’t get any new lead this week either, I’m including this week’s tally here. I’m done with the first team for round 5, and also managed to finish a team of five models for round 4 thus saving me from using a replacement team! That’s 7 miniatures finished in a week (of which 5 were merely primed at the start of the week). Total tally for 2012 is now 34 painted – 109 acquired = -75. 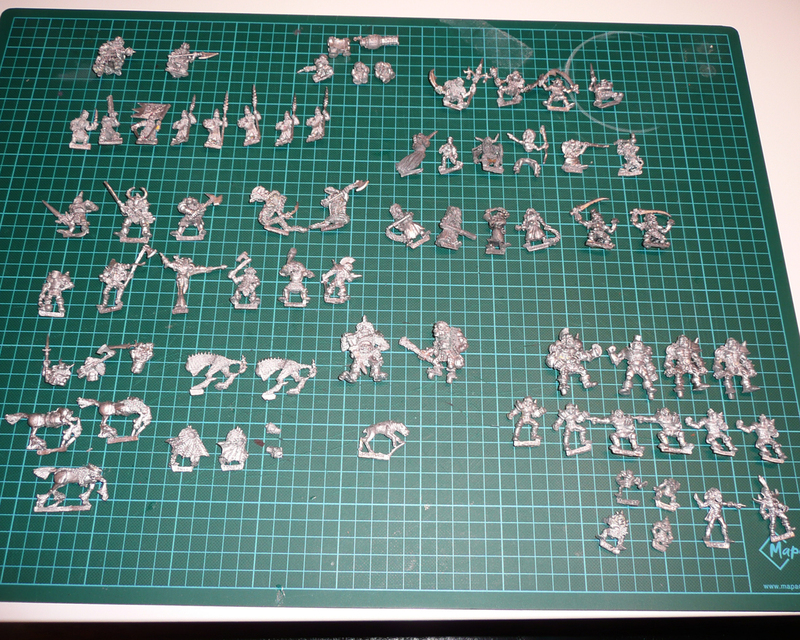 The numbers will soon crash again, as I have a few incoming models for round 10 and ofcourse managed to get a few extra “nice to have” minis.